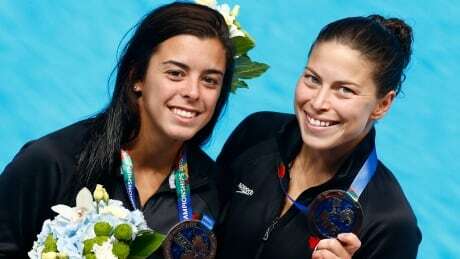 Canadian divers Roseline Filion of Laval, Que., and Montreal's Meaghan Benfeito won the silver medal on the women's 10-metre synchro at the FINA World Championships on Monday, earning an Olympic spot for Canada in the event. Canada's Jennifer Abel and Pamela Ware are Rio bound. Abel, of Laval, Que., and Ware of Beloeil, Que., took silver in the women's three-metre synchro to earn an Olympic berth at the FINA world swimming championships Saturday. Canada had another strong day at the CIBC Aquatic Centre as the diving competitions at the Pan Am Games wrapped up with four events, and the hosts medalled in all of them. 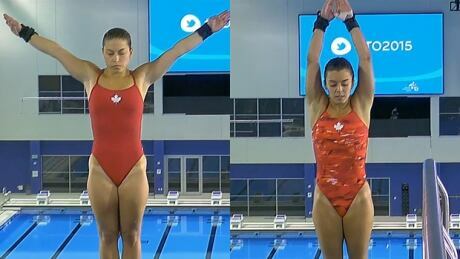 Jennifer Abel and Pamela Ware added to Canada's diving medal haul at the Pan Am Games on Monday night with a silver in the women's three-metre synchronized event, while Phillipe Gagne and Vincent Riendeau also earned a silver in the men's 10m competition. Canada's diving duo of Meaghan Benfeito and Roseline Filion captured the gold medal in women's 10-metre synchronized diving at the Pan Am Games on Monday. 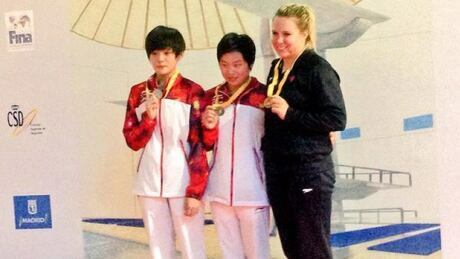 Jennifer Abel added to Canada's already strong showing in the pool with a gold medal in the women's 3-metre springboard diving final Sunday evening, while teammate Pamela Ware earned the silver. 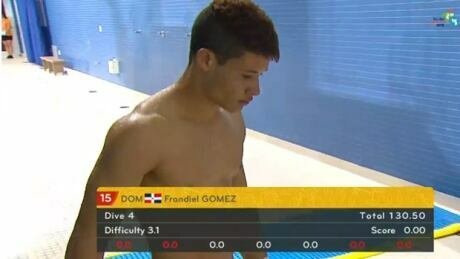 It was disaster for Dominican diver Frandiel Gomez during the men’s 10-metre platform preliminaries Sunday at the Pan Am Games as he lost control of a dive and landed face first. Canadian divers Roseline Filion, Meaghan Benfeito and Phillipe Gagne each won a medal on the opening day of the Pan Am Games. 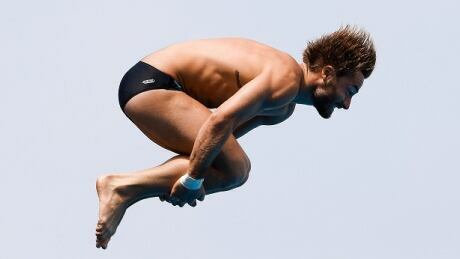 Canadian diver Maxim Bouchard's thick 20-centimetre scar that runs from his left elbow to his shoulder serves as a reminder of a frightening fall that nearly killed him. The 2010 incident also helped him rediscover his passion for the sport. Canadian champion Celina Toth claimed the bronze medal on women's 10-metre tower on Sunday to conclude the fifth stop on the FINA Grand Prix diving circuit. You are currently browsing the archives for the Sports/PanAm (Actual)/Diving category.